Vashti Harrison, Zora Neale Hurston, digital print, 2018. Author, illustrator and filmmaker, Vashti Harrison is an artist with a background in cinematography and screenwriting, with a passion for storytelling. 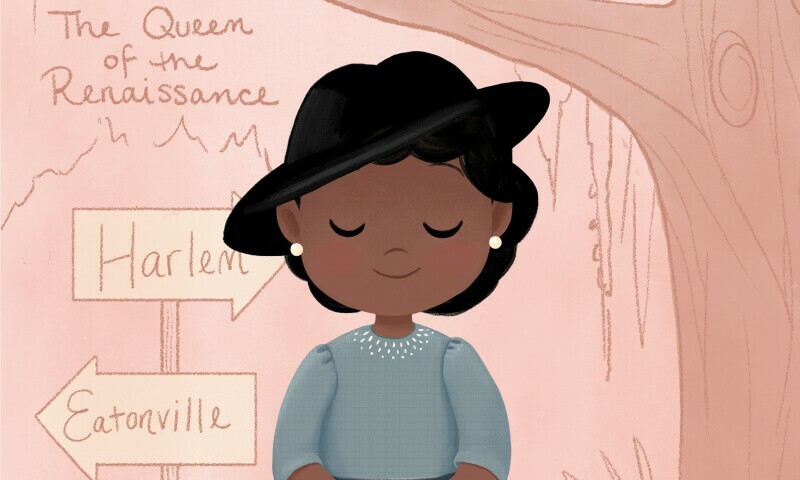 This exhibition includes 10 illustrations from her debut book Little Leaders: Bold Women in Black History, which features 40 biographies of African American women that helped shape history.